Wolves are a class of the canine family, and they seem to do very well in the right environment. In fact, they are the largest of all canines with exception of some dog species. They are meat eaters and can range in size considerably depending on where they live. Some of them are only about 55 pounds full grown while others can be up to 200 pounds. They can range in size from 40 to 65 inches in length. Such a measurement is from the tip of the nose to the end of the tail. They have long gotten a bad reputation out there in the wild. They are very intelligent animals that live in groups that are known as packs. They have thick fur to help them survive in a variety of climates. They are found to live in many places throughout the Northern Hemisphere. However, the amount of roaming space that they have continues to get smaller all the time. Wolves live in small groups that are called packs. They can have from 6 to 20 members in them at a time. They have a very large range that they cover from 33 to 6,200 km2. They hunt as a group which makes it possible for them to take down large prey such as moose and elk. This type of kill helps to ensure there is plenty of food to go around for the entire pack. Facts about Wolves, Gray Wolf, Arctic Wolf, Red Wolf. Other than hunting to eat, wolves are usually not aggressive. However, they will fight other animals and even other wolves in order to protect their pack. This is where the stories often come in of wolves being violent killers. Right now the biggest threat is to them and not to other animals or humans. The reduction of their habitat has created a great deal of hardship for the wolves. The alpha male and beta female are generally the only two in a pack of wolves that will mate. The entire pack of wolves is responsible for the care of the young. The average lifespan of a wolf in the wild is from 6 to 8 years. However, in captivity they can live up to 16 years. They don’t seem to have a problem adjusting to life in captivity. Most of the locations where they are kept try to keep the habitat as natural as they possibly can for them. It is illegal in many areas to sell the pelts of the wolf. However, they were once worth a great deal of money and some still circulate on the black market. It may surprise you to learn that in the United States they were almost hunted to the point of extinction. Breeding programs with the Red Wolves have allowed them to start to repopulate. At one point in the 1980’s there were wiped out in the wild, with those remaining only in captivity. Through programs to introduce them to new environments they now live in North Carolina. Approximately 100 of them are found there at this point in time. 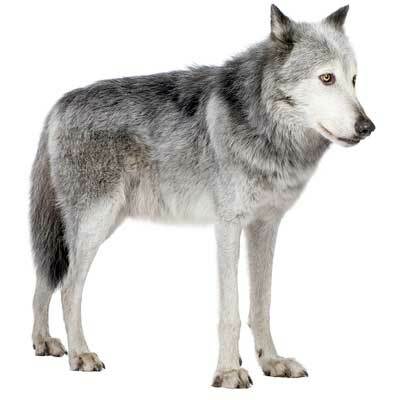 Today may species of wolves are considered to be endangered. In some areas they have been protected in order to help reduce the risk of them becoming extinct. There have been efforts in Colorado and other states to reintroduce certain species of wolves to given locations. So far those programs have been successful. However, it may not be enough to help get these animals off the list of endangered species any time soon. Wolves have a very complex social structure that has been carefully studied. There is a different hierarchy for both the males and the females that belong to it. Contrary to popular belief, there isn’t constant fighting within a pack to get to the top of the rankings. Instead this type of social structure actually helps to keep the focus on survival for the entire pack.